Friday is our favourite day because it is the end of the working week and the start of the weekend. We also love Friday because we get to give you a recap of the weeks’ fast food releases from around the world. 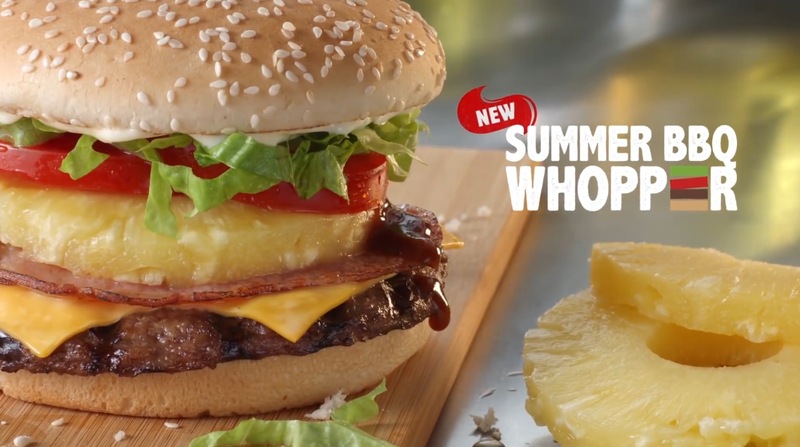 Our main feature attraction this week is the pineapple-topped Summer BBQ Whopper from Hungry Jack’s (Australia’s version of Burger King). Also available is the Tendercrisp Summer BBQ – like the beef version, this has cheese, bacon, pineapple and smoky BBQ sauce. 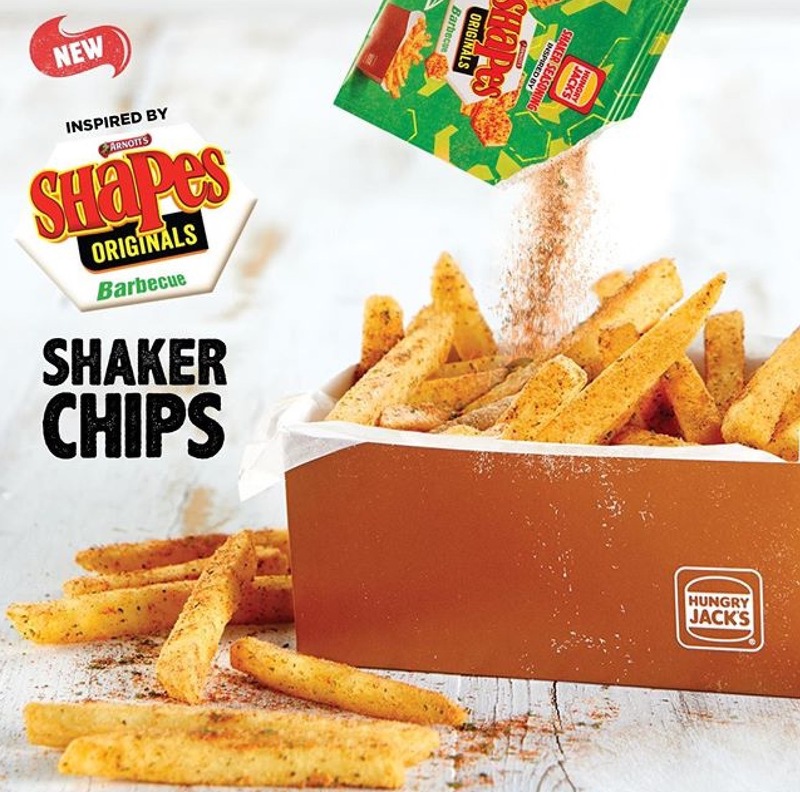 What I really love about this promo, is the accompanying Shaker Chips, with seasoning used from Arnott’s Shapes Originals – a popular savoury biscuit and a staple of mine when back-packing in Oz and NZ. 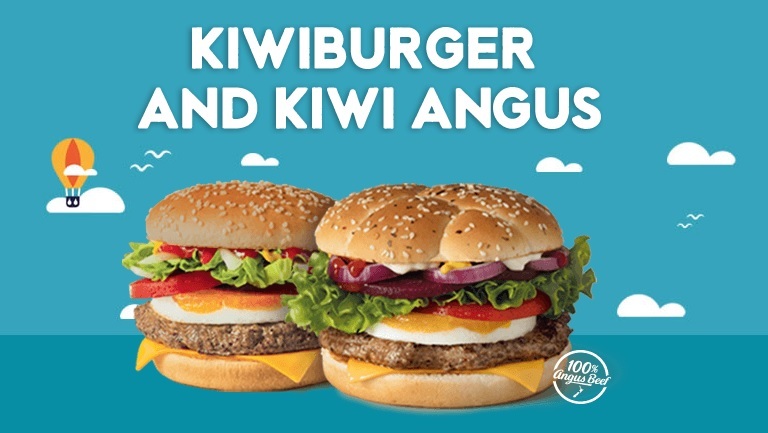 McDonald’s New Zealand have brought back regular mainstay the Kiwiburger alongside the Kiwi Angus. The build consists of an egg, sliced beetroot, tomato, lettuce, cheese, red onion and a combination of mayo, mustard and ketchup on a chilli chive bun. 0% chance of that coming to the UK! The accompanying Bacon Tower comes with a Bacon-flavoured sauce. Obviously. 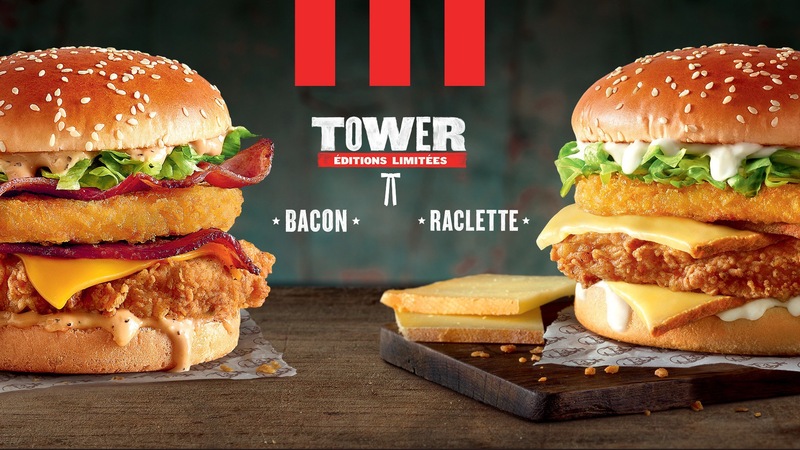 Staying with KFC… the Dunked Burger makes a return to South Africa for a limited time offer. 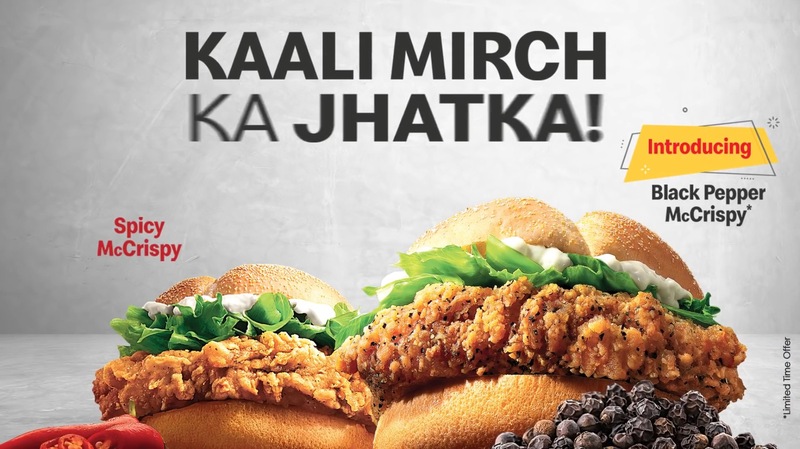 This is a bit of an interesting one – a Zinger Fillet burger is dunked in a blend of honey, ginger and soy sauce. 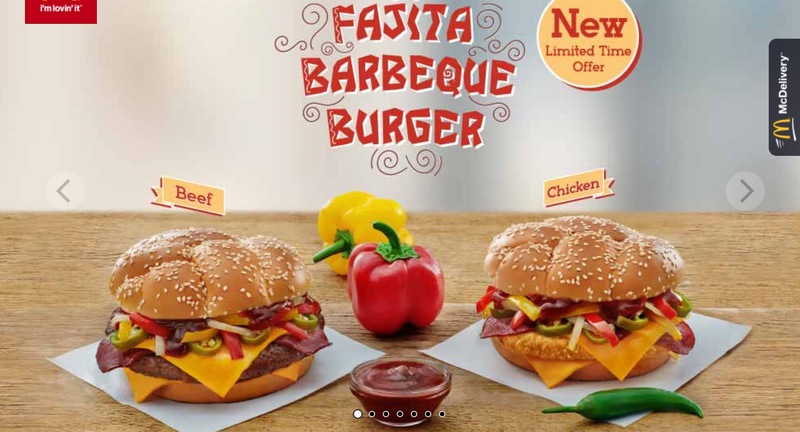 Next on our list is the epic looking Fajita Barbecue Burger LTO at McDonald’s Egypt – proof that when you travel overseas, you shouldn’t just have a Big Mac or QP. Available in Beef or Chicken, this Mexican-inspired promo comes with two slices of cheddar cheese, Southern BBQ sauce, (beef) bacon, jalapeno slices and a mix of grilled onions and sliced red and yellow peppers. We can’t find much more information about the next item – we’re calling it Doritos-coated Chicken and it is on the menu now at KFC China. Also in the Far East we have the Happy Xmas! 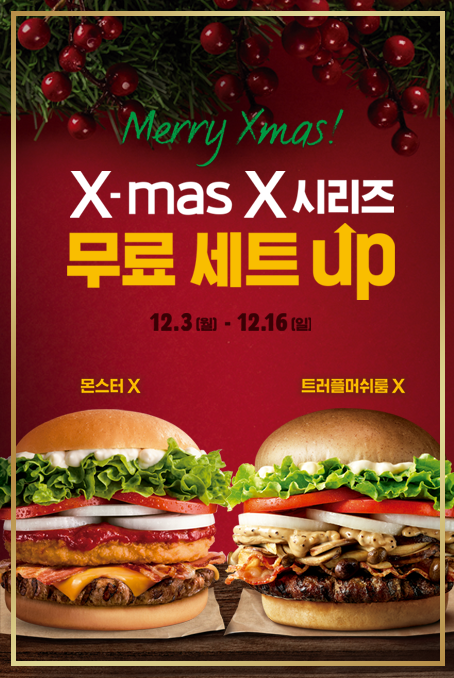 promotion at Burger King South Korea. This will be available from the 3rd until the 16th of December. The website refers to the chicken option of having “Diablo” sauce – looking at the berries in the picture, we did wonder if it was similar to the previously released Premium Berry. 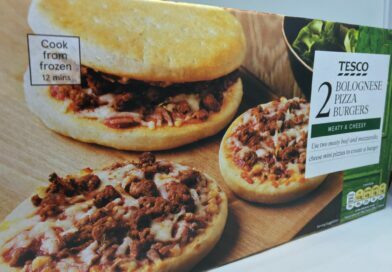 The beef appears to have a mushroom mixture as one of the toppings – an update of the Mush ‘N’ Cheese which also featured in BK Japan’s Berry Kristmush promo. 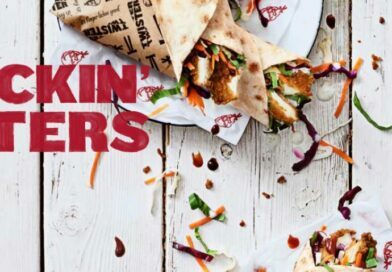 McDonald’s Pakistan have introduced the new Black Pepper McCrispy (running alongside the Spicy McCrispy). Burger King USA quietly added a new item to their menu recently with the Cheesy Bacon Crispy Chicken. Made with 100% white meat seasoned chicken filet, crispy breading, and smoky bacon, smothered in layers of cheese sauce and slices of melted American cheese on a toasted potato bun. 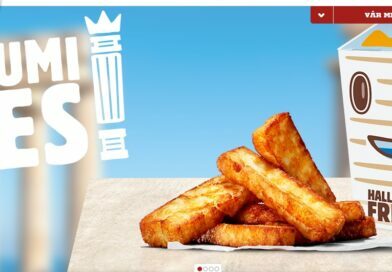 Burger King Argentina are running the Crown Selection LTO on their menu – available in a Double or Triple version this is possibly the first time brioche buns have been on-sale at BK Argentina. Possibly. In Europe, we have seen the fairly standard American Street Food promo (Chicago Supreme, Criss Cut Fries and New York Whopper) at BK Poland. 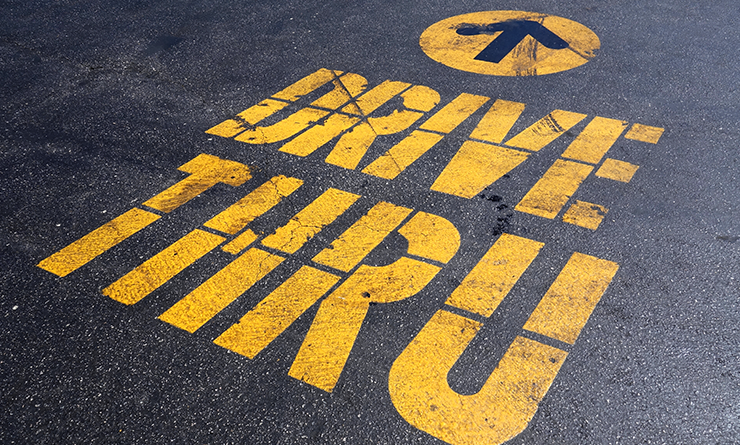 We recently did a summary of Maestro Burgers at McDonald’s – you can read about that here. 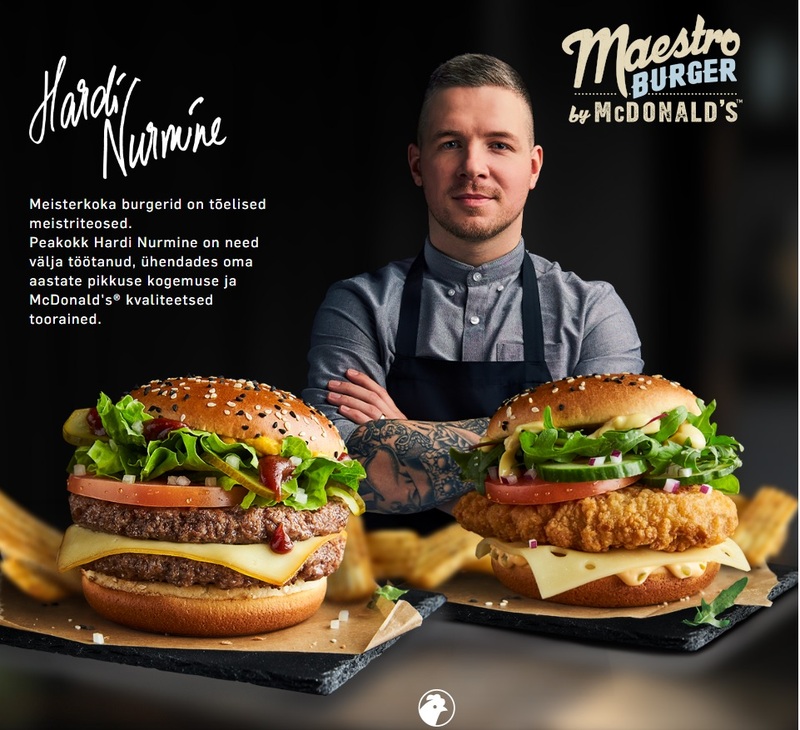 Since that post, McDonald’s Estonia have added new double beef and chicken options [to their menu] designed by celebrity chef Hardi Nurmine (which is not uncommon with this range). 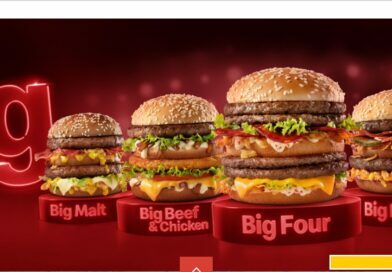 To battle the cold winter temperatures in Kazakhstan, McDonald’s have added three burgers to their menu under the McSpicy by McDonald’s branding. 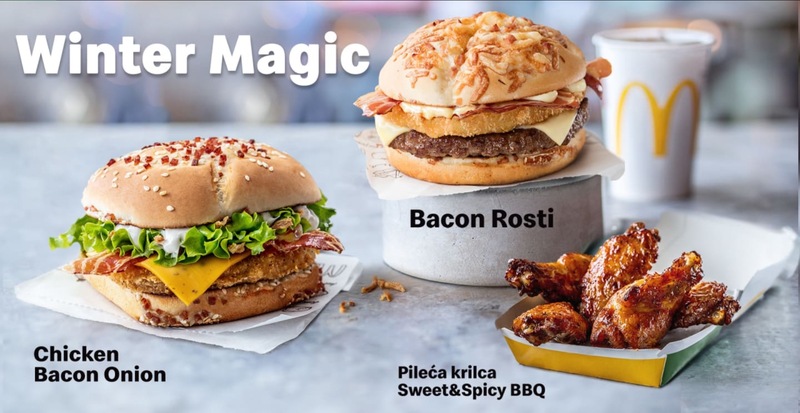 McDonald’s Croatia’s festive menu is called Winter Magic and sees the returning Bacon Rosti alongside the CBO (Chicken Bacon Onion) and Sweet & Spicy BBQ Chicken Wings. 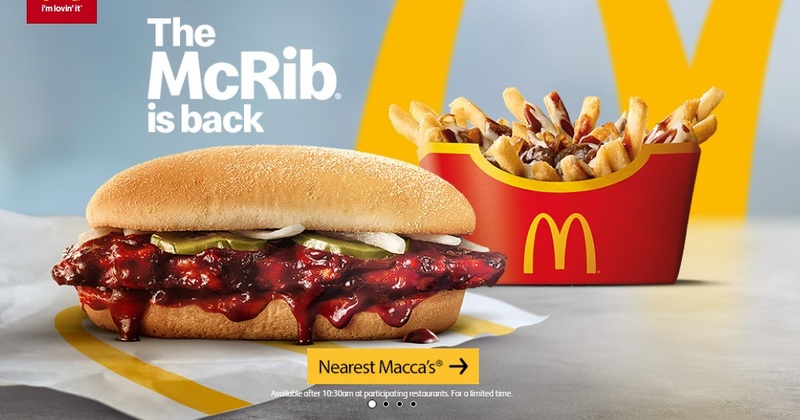 Last but not least – Macca’s (McDonald’s Australia) have brought back possibly the most requested menu item – the McRib. Pictured above with BBQ Loaded Fries (smothered in Aioli, caramelised onions and smokey BBQ McRib sauce), could we see the McRib return and/or the debut of Loaded Fries in 2019? Also available are Gravy Loaded Fries. Would you like to see any of the other featured items in the UK? 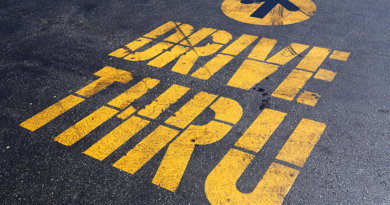 A busy week in the Fast Food Lane – you’ve been reading… The Drive Thru.